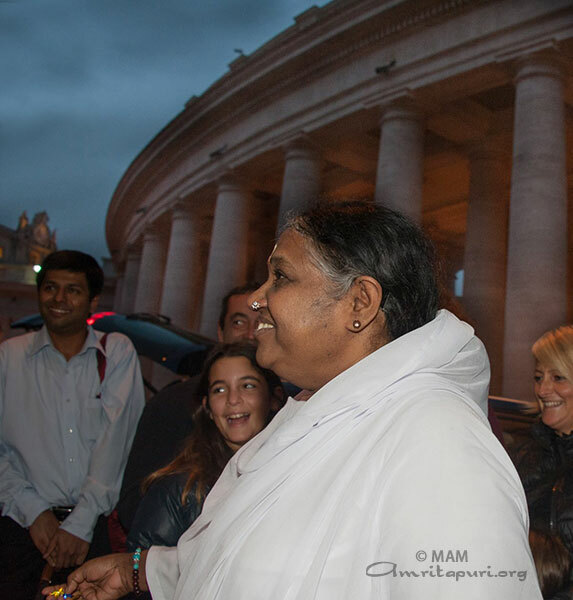 Amma has arrived in Rome to participate as part of a historic event aimed at eradicating modern slavery by 2020. On December 2, Amma will join His Holiness Pope Francis, the leader of the Catholic Church, as well as leaders of the Anglican Church, Orthodox Churches and the Buddhist, Jewish and Muslim faiths to sign a Joint Declaration of Religious Leaders against Modern Slavery. 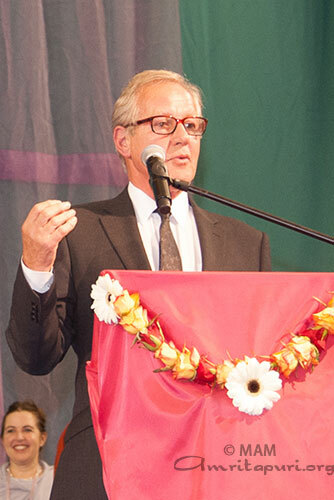 The declaration will underline that modern slavery, in terms of human trafficking, forced labour and prostitution, organ trafficking, and any relationship that fails to respect the fundamental conviction that all people are equal and have the same freedom and dignity, is a crime against humanity, and must be recognised as such by everyone and by all nations. 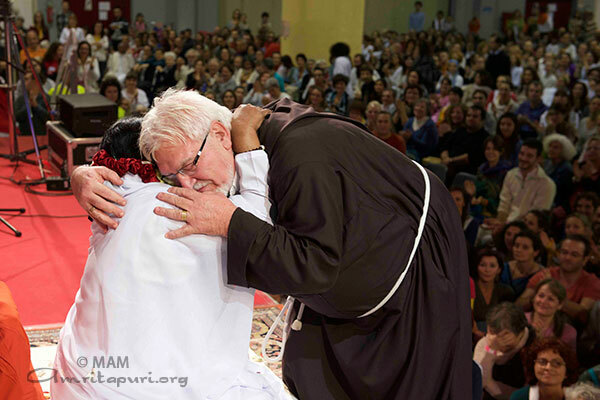 They will affirm their common commitment to inspiring spiritual and practical action by all faiths and people of goodwill everywhere to eradicate modern slavery. 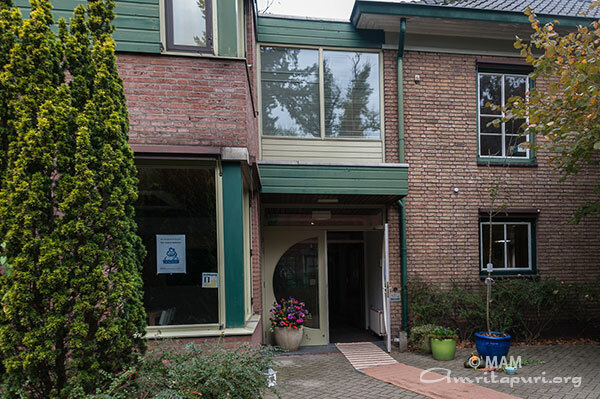 The event is being organized and conducted by the Global Freedom Network (GFN). According to GFN research almost 36 million people have are currently trapped in modern slavery, having lost their freedom and being exploited for personal or commercial gain. According to the International Labour Organization, the total profits obtained from the use of forced labour in the private economy worldwide amount to $150 billion U.S. per year. A number of leaders from international organisations, including GFN partner Andrew Forrest of the Walk Free Foundation, civil society organisations and businesses will witness the signing of the declaration on December 2. 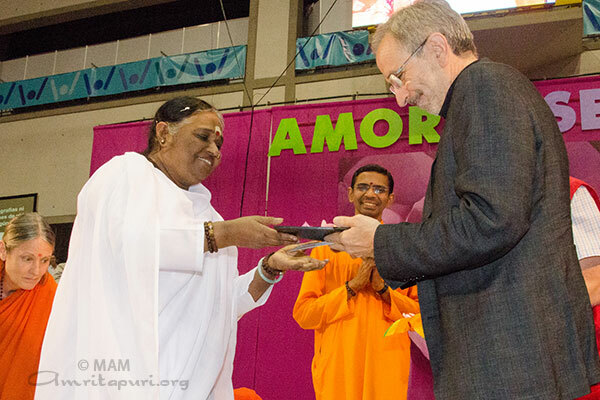 A live stream of the ceremony will be available on amritapuri.org on 2 December from 11.00 to 12.30 CET (3.30 – 5.00 PM IST). 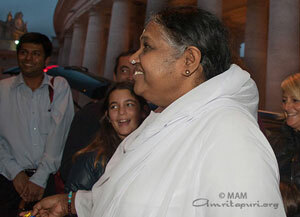 Amma was welcomed to Italy by the Indian Consul, Mr. Arun Kumar Sharma, Mr. Rudi Collini, President of the Promovaresse, and Padre Antonio Zanotti, a well-known Catholic priest. 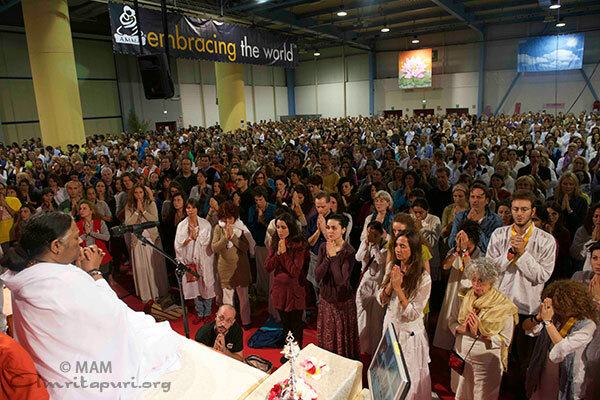 It was a sight to see as Amma walked into the hall each morning and left in the early morning hours the next day, as the whole crowd would burst into applause with shouts of “Grazie Amma.” There were also groups of people from Greece, Russia and Israel that had come to Milano to see Amma. 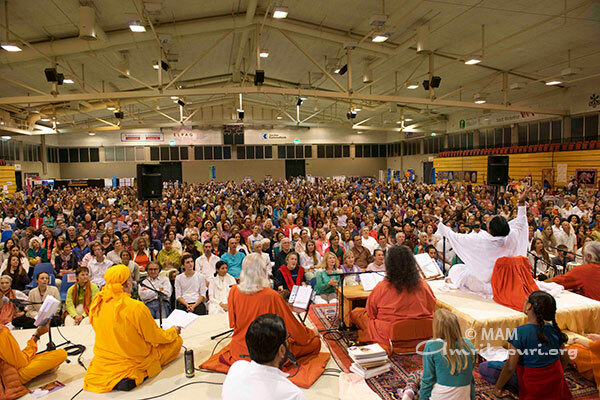 They had prepared songs for Amma that they sang in front of her, which enthralled everybody. 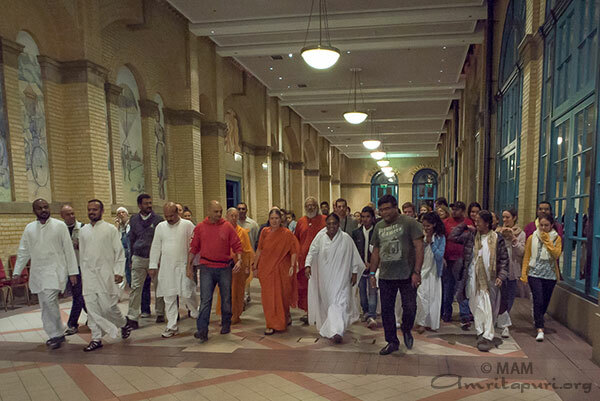 They all held banners asking Amma to visit their country. They even learnt the phrase, “Amma, we are eagerly waiting for you” in Malayalam, which they said to Amma as they had their darshan. 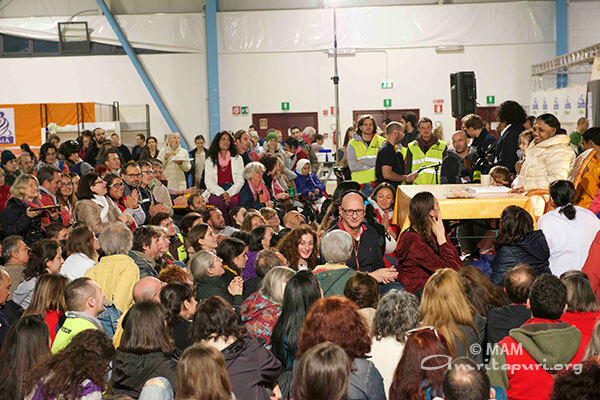 On the third and final evening of programs in Milano, the overflow hall was also packed to capacity. 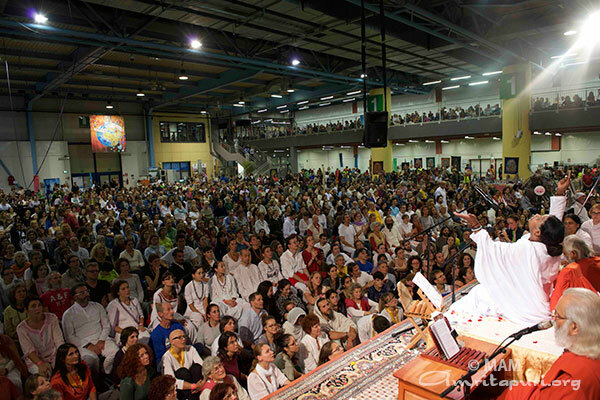 As Amma got up from her seat in the morning hours of the 11th, the main hall was still full, and it seemed that no one had left. 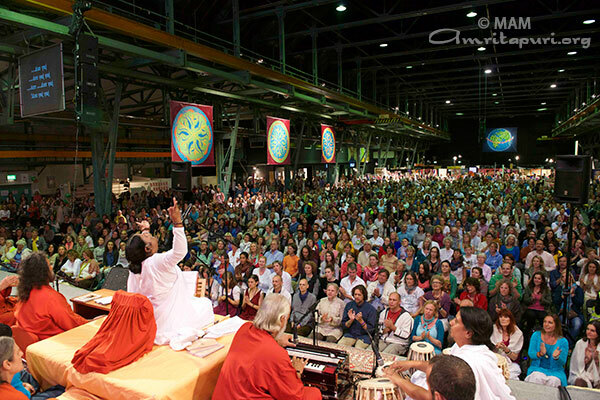 As she got down from the stage, and walked towards the camper to drive to the next destination, hundreds of devotees stood on both sides, full of yearning for one last glance from Amma. 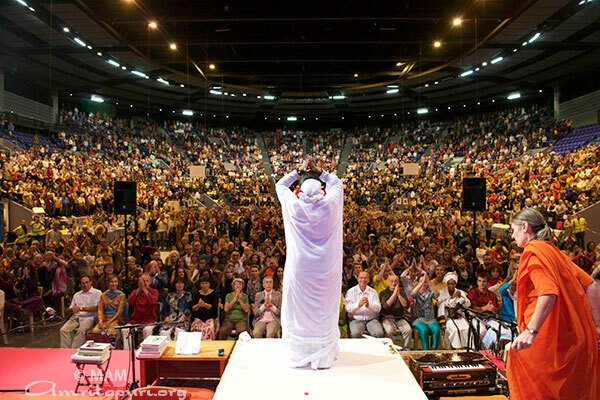 If there is a word missing from Amma’s dictionary — it is the word ‘rest’. 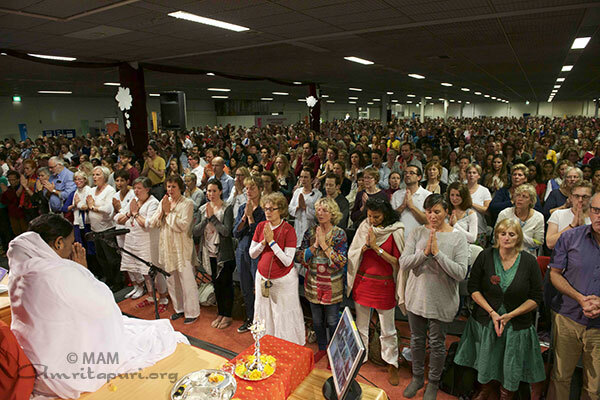 With lighted candles in hands and hearts lit with love, hundreds of volunteers lined up to receive Amma as she arrived at the Zenith Omega in Toulon for a three day program. 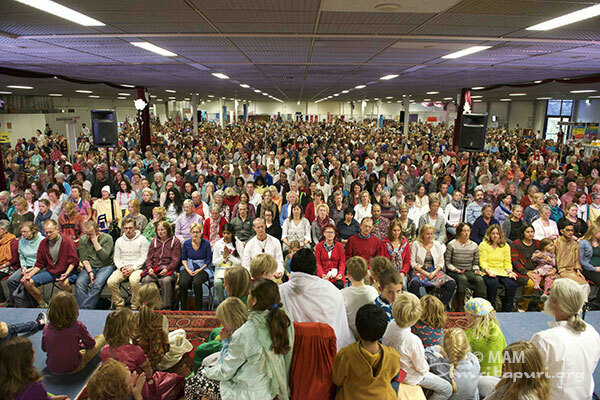 Overt the next three days, thousands gathered to receive Amma’s embrace, braving even the stormy weather on the program days to make it to the hall. Amma sat for hours and hours together each day to meet her children and would get up only after making sure that everybody had the chance of getting her darshan. It was a touching sight to see the huge crowd shout “Merci Amma” with tears in the eyes as Amma was leaving the venue. She stopped on the way consoling and wiping the tears of many. 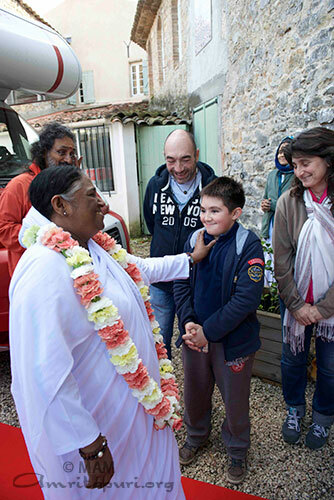 After the programme, Amma visited her center in the south of France, Lou Paradou, where She served lunch for the hundreds gathered here, sang bhajans, answered questions and also walked around the center, stopping for some minutes near the beautiful river that flows through the property. 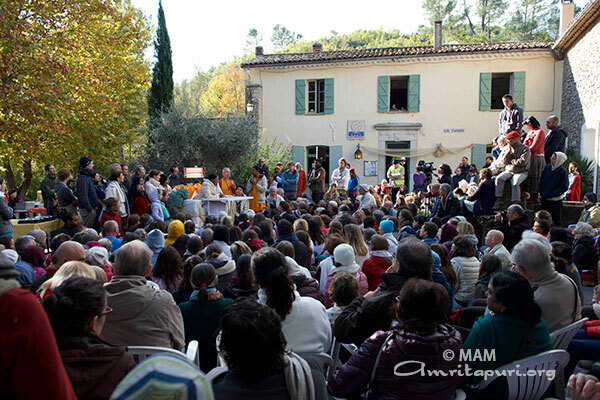 Amma’s children in the south of France were immersed in bliss spending these precious moments with Amma. 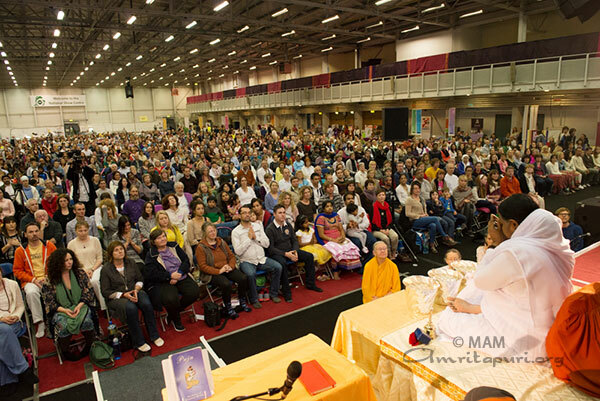 Amma’s children in Ireland welcomed her to the country with open arms and hearts as she arrived in Dublin for a two-day programme on the 31st October and the 1st of November. The Irish hospitality was at its best and evident to everyone who participated in the program. The beautifully decorated National Show Centre was buzzing with people on both the days of the programme. One of the highlights of the Irish programme has been the traditional music and dance performances. This year as well, many well-known bands enthralled the audience with their songs and music and had the whole hall up on their feet, swaying to the beat and dancing in joy. 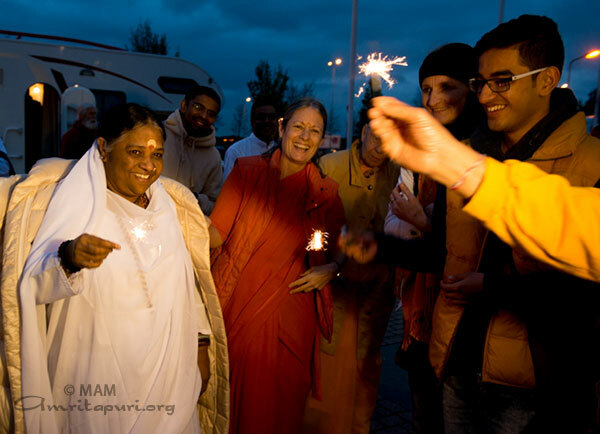 Amma was welcomed at the Expo Houten in Houten, Netherlands on her arrival from Paris by devotees with sparklers in their hands, chanting, “Happy Diwali Amma.” Amma too joined in the celebrations by waving sparklers with them. 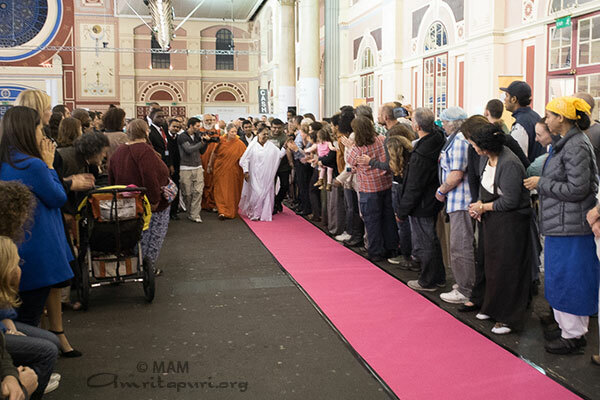 Though Amma had arrived after a marathon darshan in Paris, she spent time with everybody, distributing cookies to all those present. 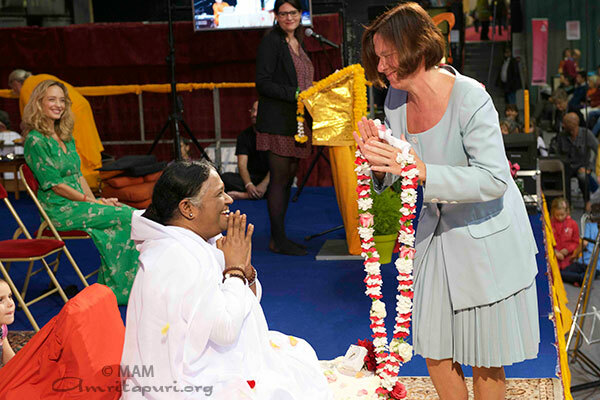 Lucia Rijkers, the former women’s Boxing World champion, welcomed Amma to Netherlands with a flower garland. 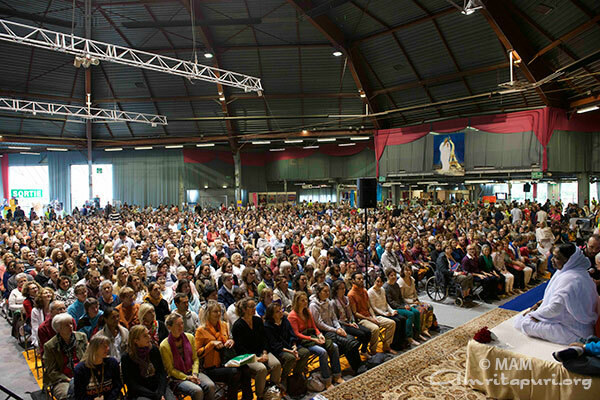 De Telegraaf, the largest newspaper in Netherlands, covered Amma’s visit and Belgium VRT1 TV carried a programme on Amma during Her programme at Expo Houten. She also served food to hundreds of devotees present there and sang bhajans with them, leaving each one fully saturated with love. 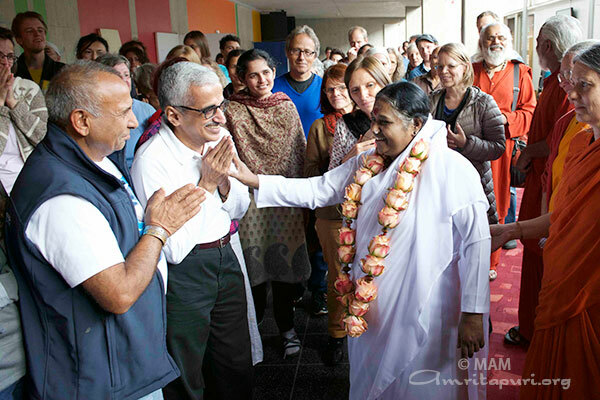 The memories of this visit of Amma to their new ashram will remain etched in the hearts of the devotees who were present that day. 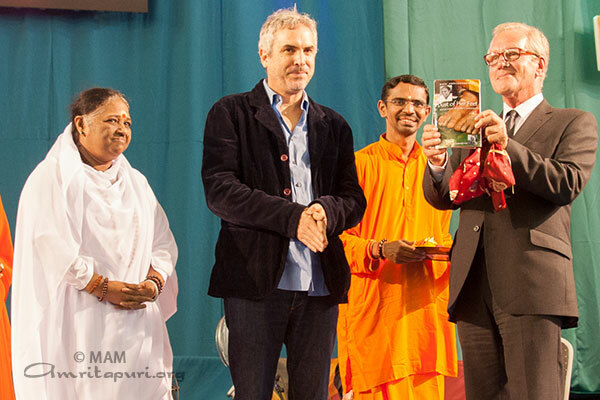 Upon Amma’s arrival in London, her 27th visit to the United Kingdom, Amma was welcomed onstage by three dignitaries: Lord Andrew Stone of the House of Lords; Ms. Scilla Elworthy, peace activist and founder Rising Women, Rising World, the Oxford Research Group and Peace Direct; and Academy Award-winning film director Alfonso Cuarón. 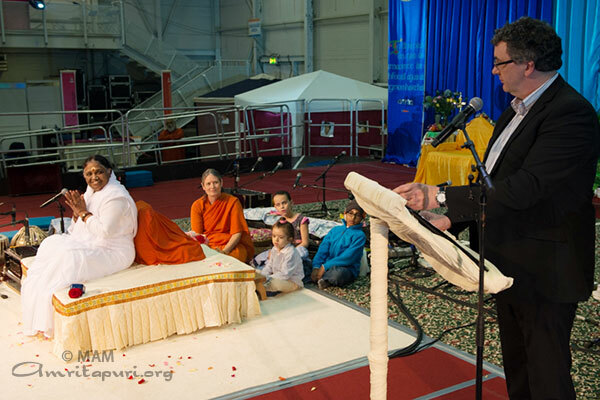 The three dignitaries officially released in the U.K. two new books published by Amma’s Ashram—one by Swami Paramatmananda Puri and one by Swamini Krishnamrita Prana. 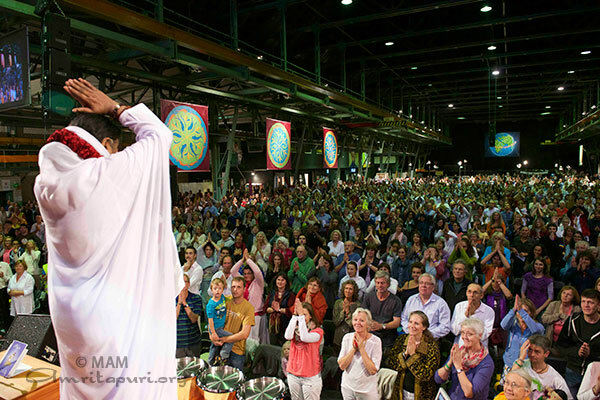 The formal program was concluded with Amma’s satsang, bhajans, and of course darshan. 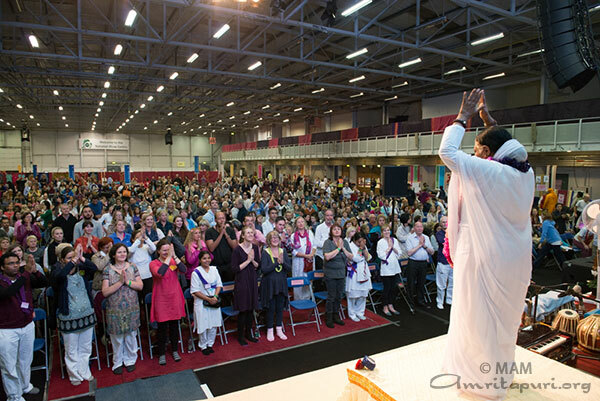 Hall Saint-Martin in Cergy-Pontoise was overflowing with people as Amma walked into the hall on the morning of the 19th October for her 2014 Paris programs. 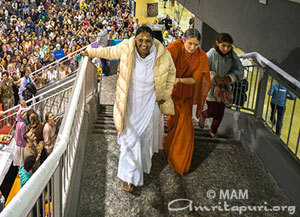 On the first day, darshan went from 11 a.m. on the 19th till 2:30 a.m. on the 20th. 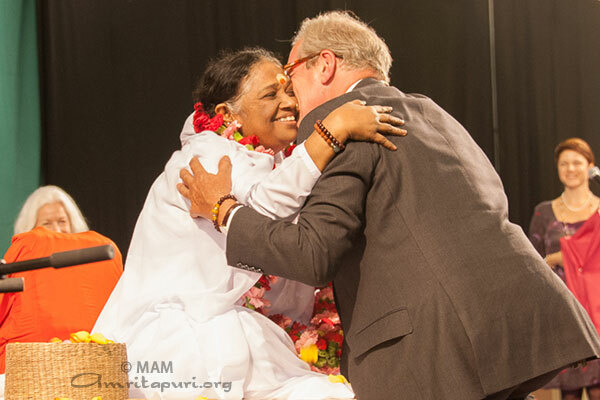 Amma’s boundless love and patience are something that is always a wonder. 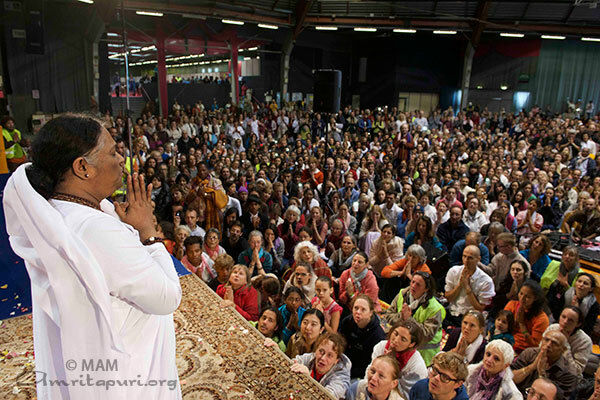 In Paris, the patience of the people waiting for their turn to see Amma was also remarkable, as many waited till the wee hours of the morning for darshan. 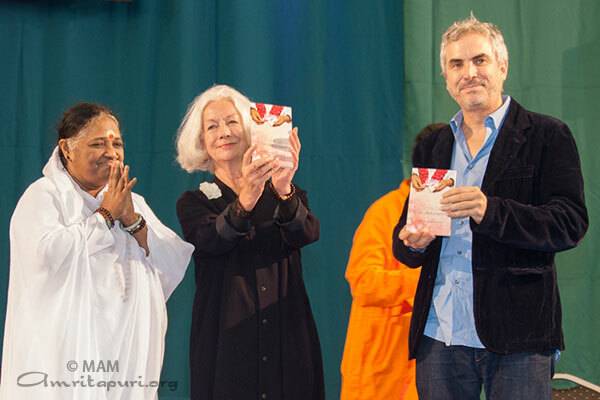 Actress Helene De Fougerolles also participated in the event and released the French translation of the book The Colour of the Rainbow authored by Swami Amritaswarupananda. 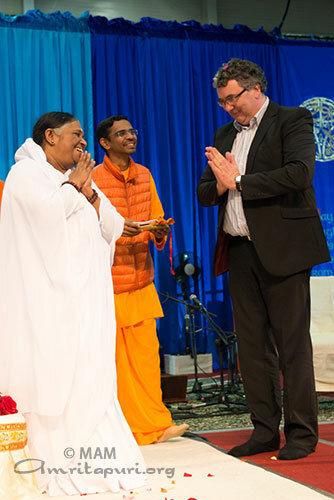 During Amma’s darshan, there were amazing musical performances by eminent artists from all over France, ranging from India Carnatic music to jazz. 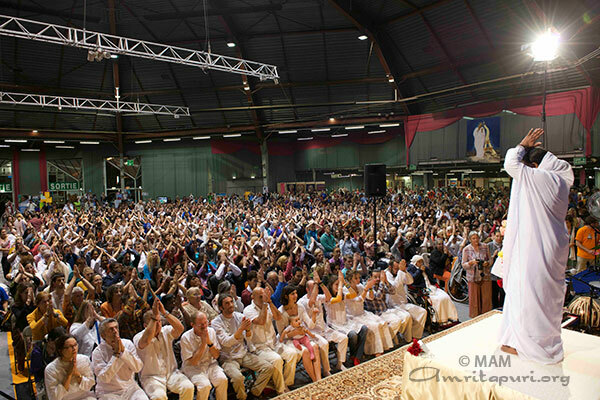 As Amma concluded darshan at 11:00 a.m. on the 22nd, the hall was still packed to capacity. 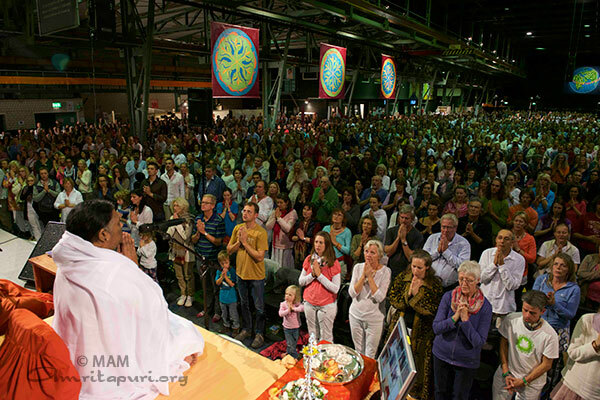 Amma then led everyone in a Diwali peace prayer, chanting Om lokah samastah sukhino bhavantu, praying for the light of peace and happiness to dawn in the hearts of everyone in the universe. 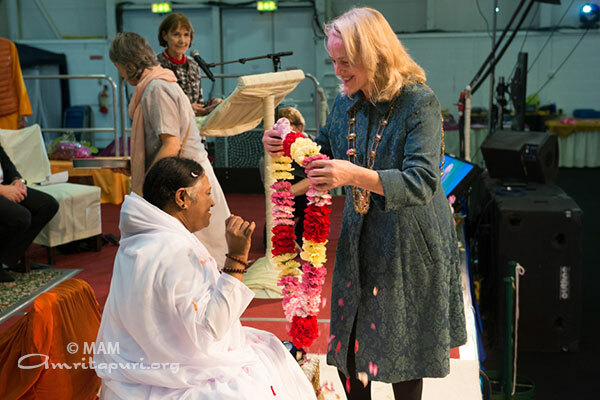 When Amma was about to leave the stage to get in her camper to drive to her next programs in Holland, the devotees all wished her Happy Diwali, flashing their mobiles to create little “candles” of light. It was such a beautiful sight to see. 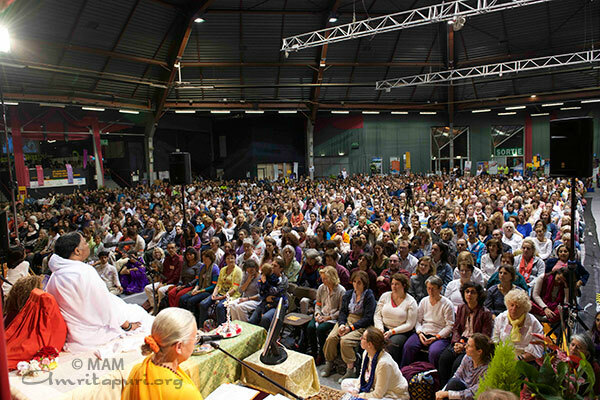 Suggested: Read a blog from Paris here – “If it weren’t for Amma, I wouldn’t be here”. On the second day evening, the introductory talk was given by Olympic Bronze Medalist Anja Stiefel (Swiss Women’s Ice Hockey Team, Sochi 2014). 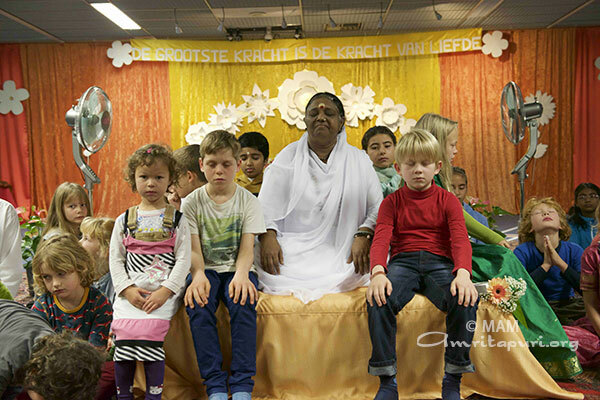 In her talk, referring to Amma as her role model and inspiration, Anja said, “Amma is everywhere where love and happiness is. When I can feel the love on the ice, I move in ways that are totally extraordinary and I can’t even explain. And then I know, Amma is with me on the ice.” She also related how Amma has given her strength to carry on with her efforts despite all the challenges that she has faced. 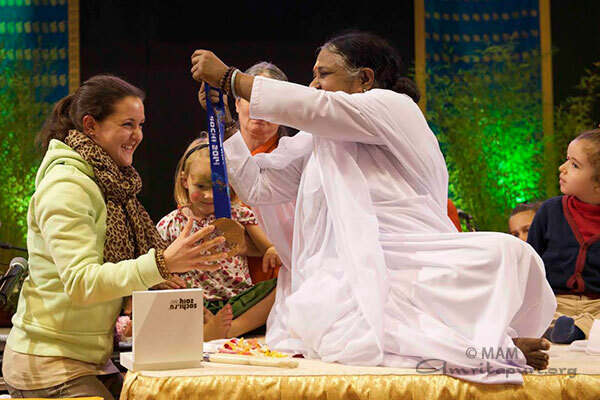 At the end of the talk, she handed Amma the medal that she received, which Amma lovingly kissed and put it around Anja’s neck. 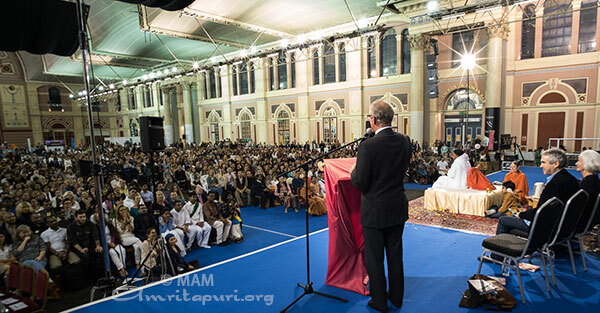 On the third day, the overflow hall was also packed as people from all parts of the country thronged to take part in the prayer for world peace led by Amma. 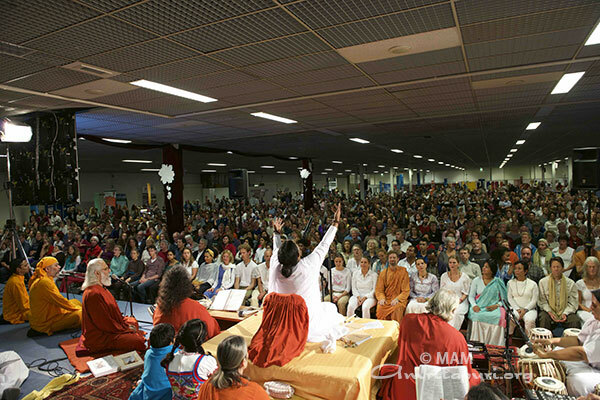 The headlines of the French newspaper in Switzerland ‘Le Matin’ carried the news of Amma’s programme. 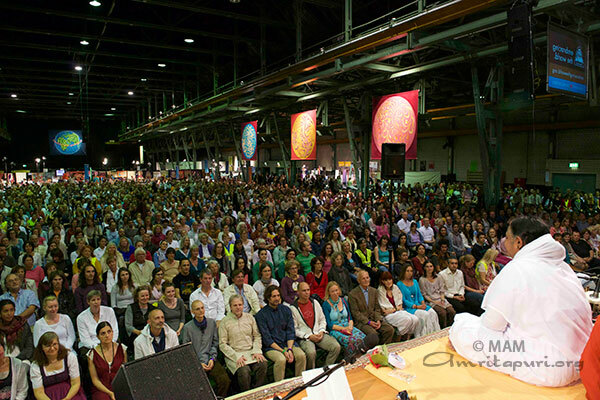 The Zenith Omega Hall was packed to capacity as Amma entered the hall for the programme in Munich on October 11, 2014. 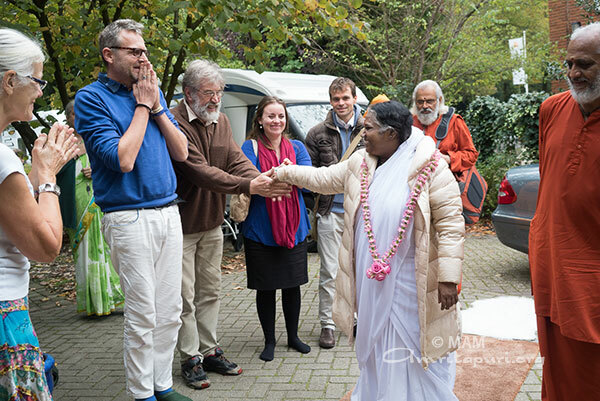 The amazing Bavarian choir group, dressed in the traditional attire, welcomed Amma as she walked to the stage to meet the thousands assembled there. 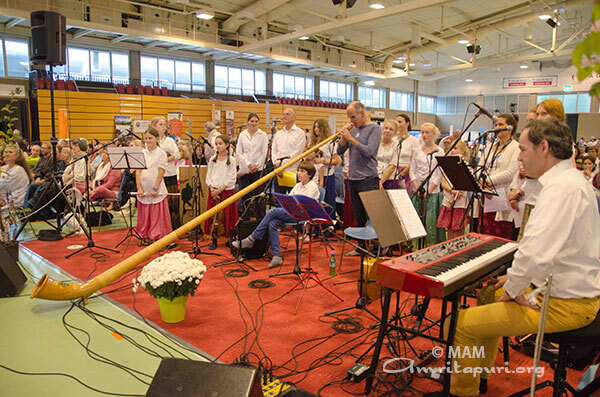 The three day programme had people coming from the neighbouring countries of Austria, Hungary, Slovenia, Croatia, Poland and the Czech Republic. 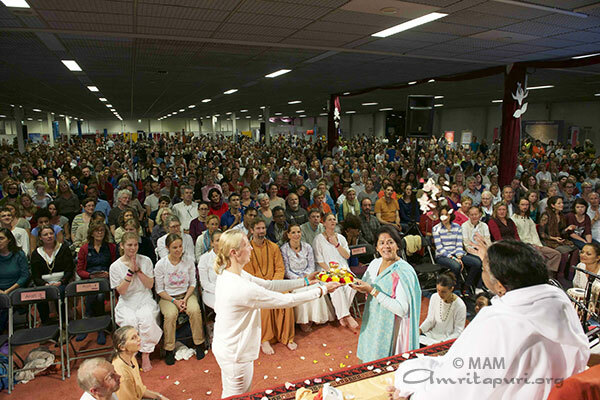 If there is a word missing in Amma’s dictionary, it is the word ‘rest’. 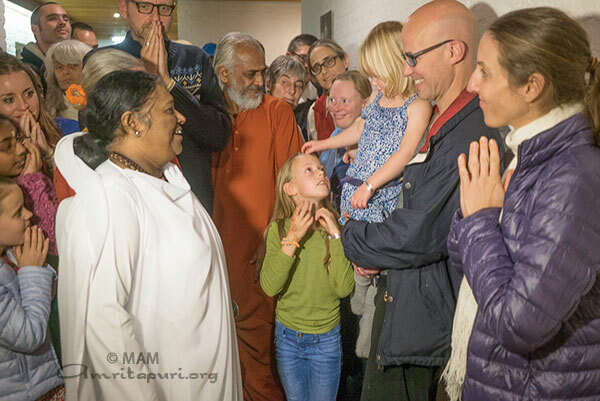 On the first day, though Amma had arrived in Munich after a 16-hour drive, there was not even a sign of fatigue on her face as the darshan kept going into the early hours of the next day. 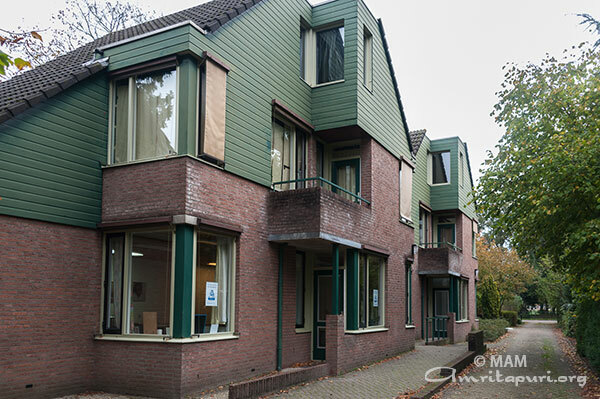 The programme on the remaining days also followed the same tempo. 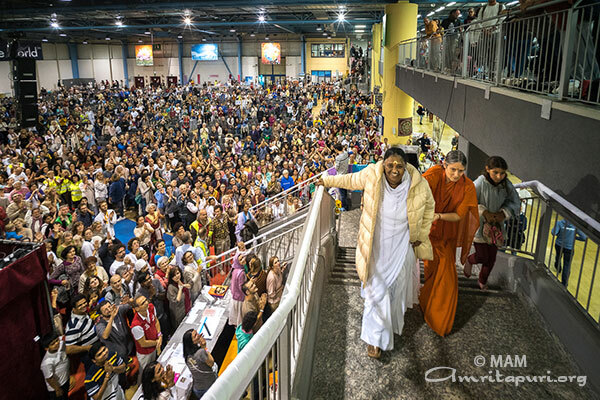 To enter and leave the Zenith Halle, Amma walked along a long balcony above the crowd of devotees that filled the hall each day. 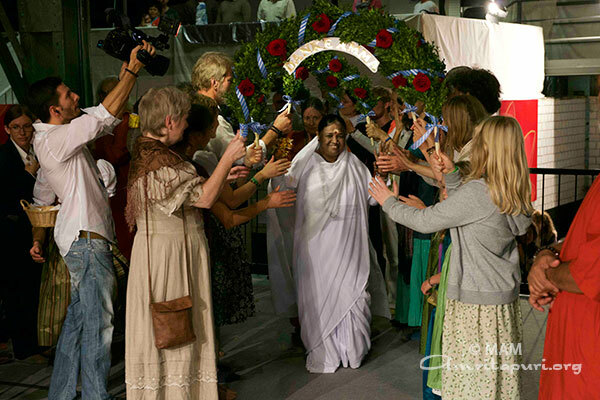 It was always a beautiful and celebratory scene to see Amma slowly walk along the balcony looking down to all the applauding crowd, each one eagerly waiting to drink in every glance of Amma. 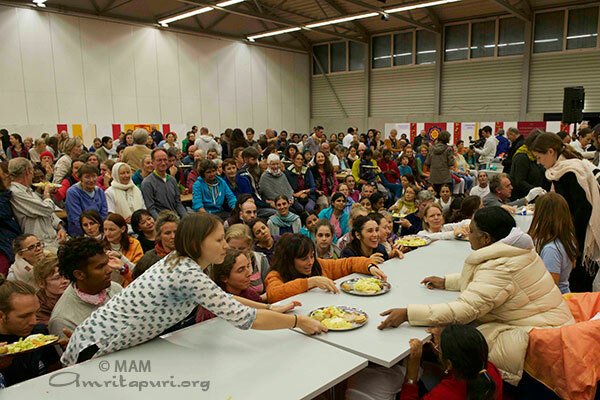 Last year during Amma’s visit to Granollers, Amma offered to sponsor children from underprivileged families through Embracing the World. Granollers Mayor Josep Mayoral accepted the donation from Amma on behalf of “Friends of Children Granollers”, who used it to make sure 49 children received equal opportunities in basic, artistic and sports training. 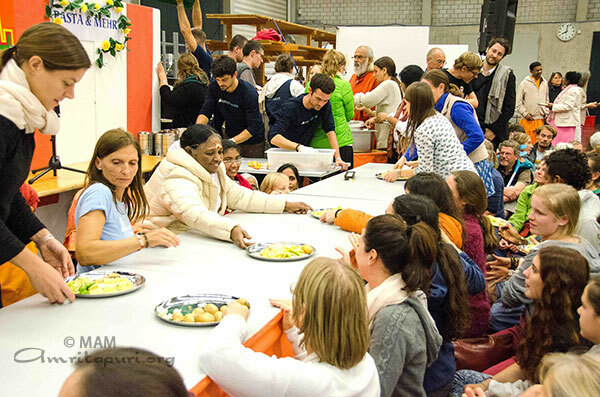 This year the Mayor, accompanied by the Councillor for Social Services, María del Mar Sánchez and the official in charge of this project, Jordi Ponce, attended the donation ceremony which was held at the start of darshan in the afternoon of October 8 in Granollers, Barcelona to an audience of several thousand. The donation will provide another year of aid for 50 local children who are unable to afford school transportation and cafeteria, medical care, or arts and sports activities. Mr. Mayoral expressed his gratitude to Embracing the World’s effort to help underprivileged children in his hometown.